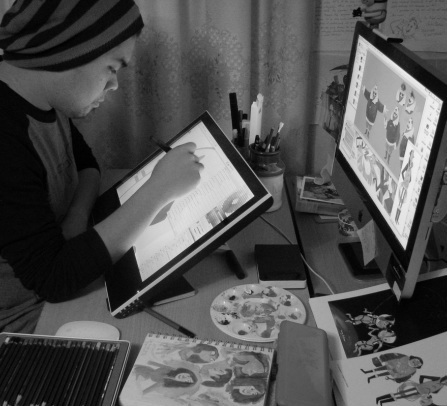 Jez is a New Zealand-based freelance illustrator, specializing in character design and children's illustration. While he creates his illustrations digitally they are rich in texture, detail and atmosphere which gives them a hand-rendered quality. With over five years experience, Jez's clients include Oxford University Press, Pearson Education, ReelFX Inc, Macmillan Education, Usborne Publishing, Random House, Scholastic and I See Me! He has also held gallery shows with Light Grey Art Labs in Minneapolis, Minnesota.